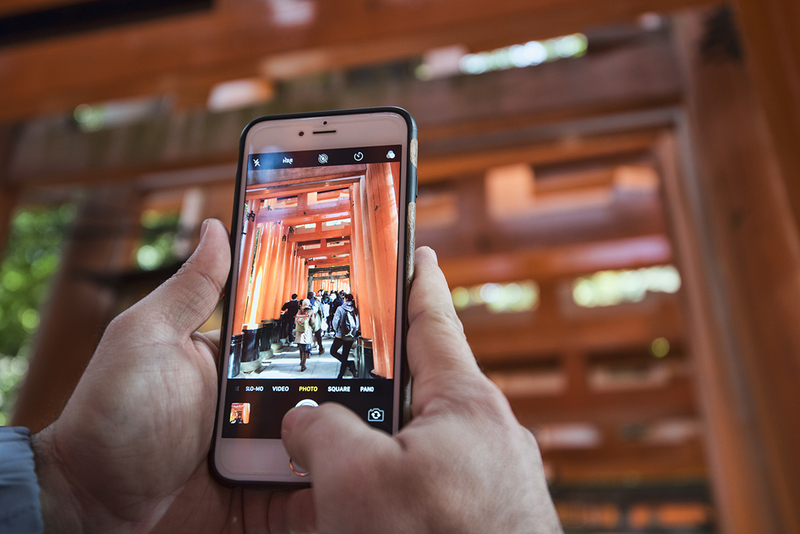 After visiting supposedly the number one autumn destination of Kyoto — Tōfuku-ji — we walked through a residential area to get to thousands of brilliant orange torii gates at Fushimi Inari Taisha. 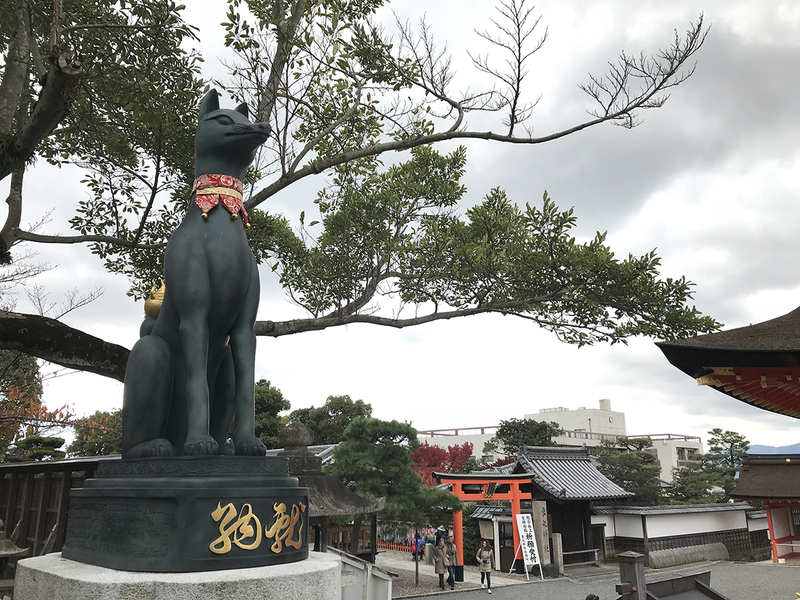 Fushimi Inari Taisha is all about fox spirits. 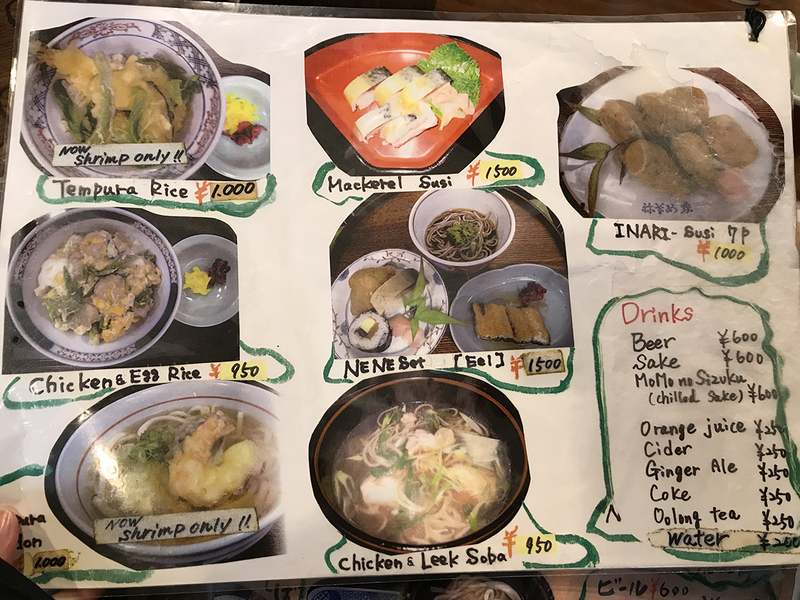 To add to this theme, we ate at a restaurant that was founded almost 500 years ago and featured iconic local dishes associated with the sacred fox spirits. 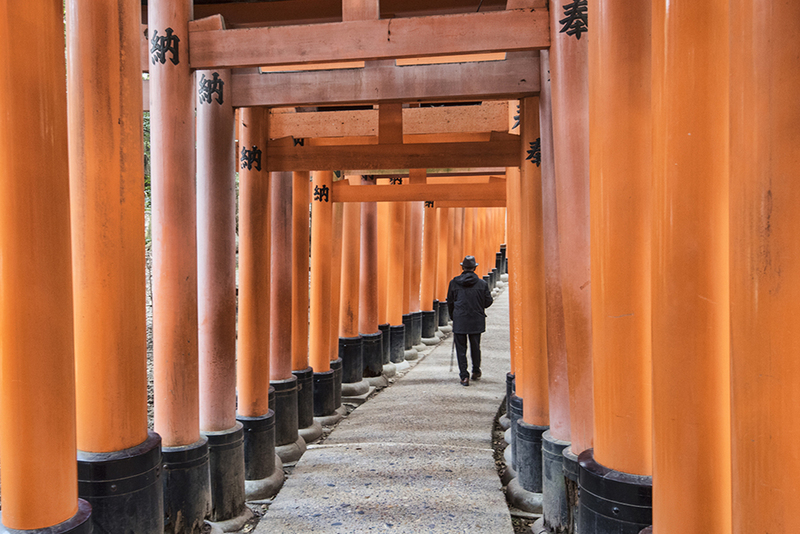 It’s only a 20-minute walk from Tōfuku-ji to Fushimi Inari Taisha. 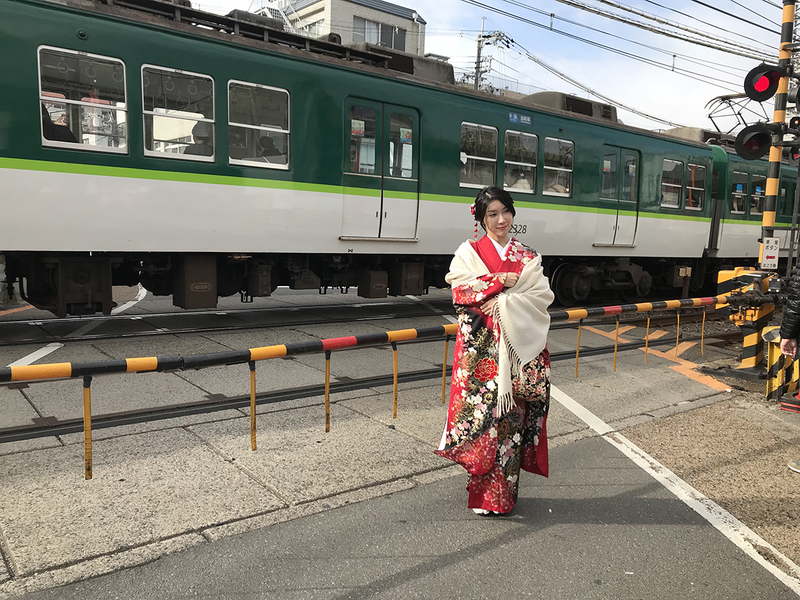 You can arrange to visit Tōfuku-ji, Fushimi Inari Taisha, and other temples in Higashiyama in the same day. 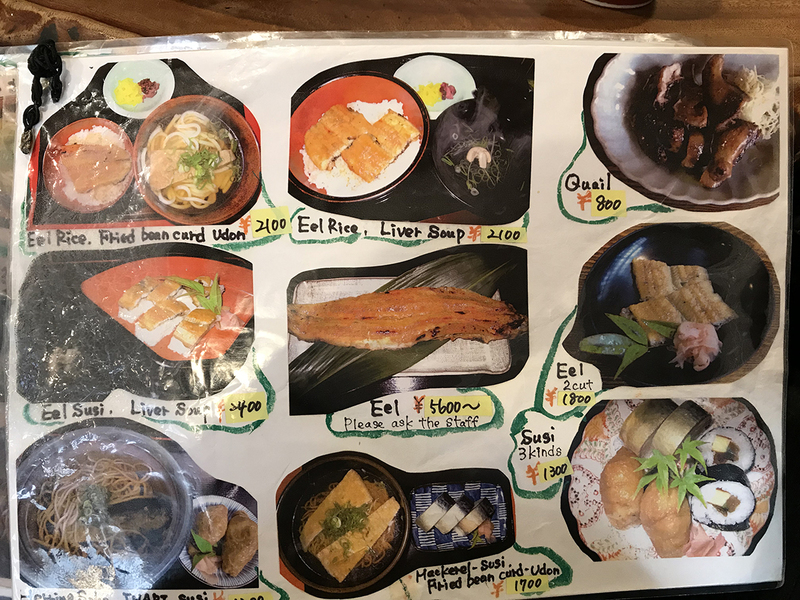 I picked this restaurant “Nezameya” for lunch. I mean, how often do you eat at restaurants that were founded some 500 years ago? 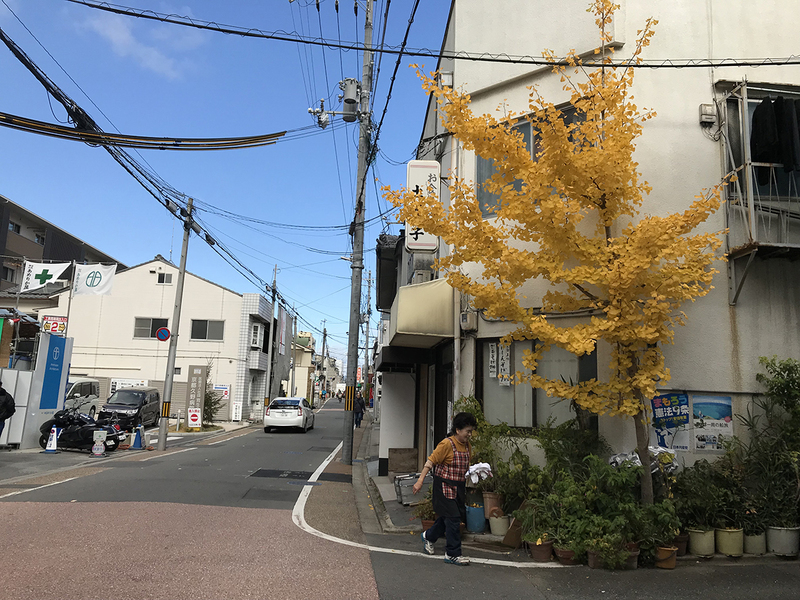 Nezameya was founded in 1540. 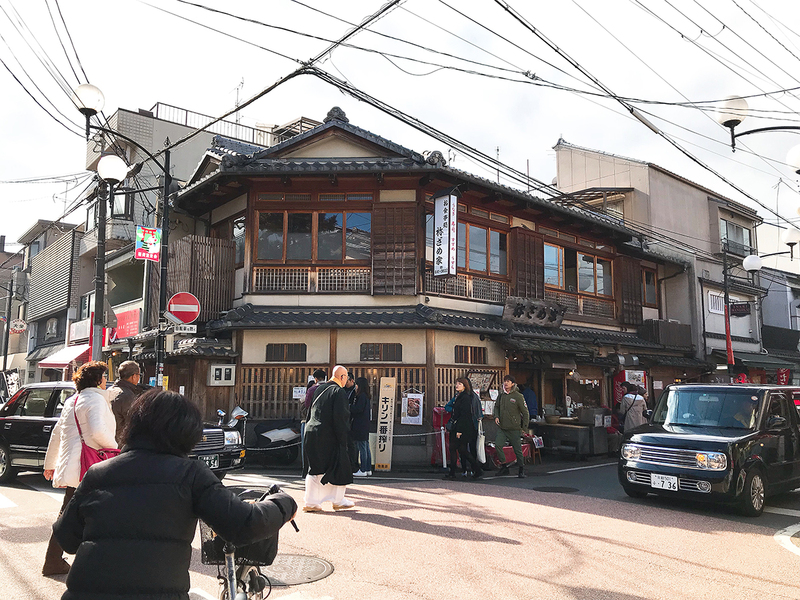 A famous general and politician of the 16th century, Toyotomi Hideyoshi (豊臣秀吉), once stopped by this restaurant after going to the nearby shrine. He liked it so much that he named the restaurant after his wife. 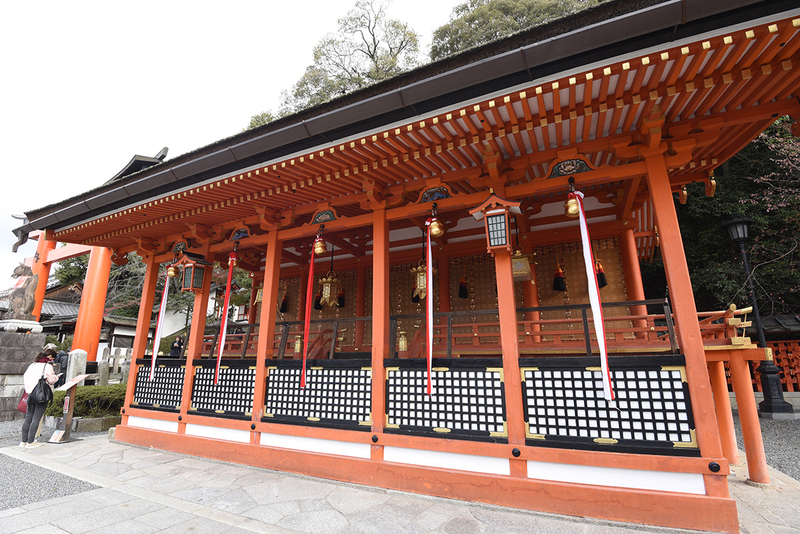 The shrine he visited was Fushimi Inari Taisha in the Fushimi Ward of Kyoto. 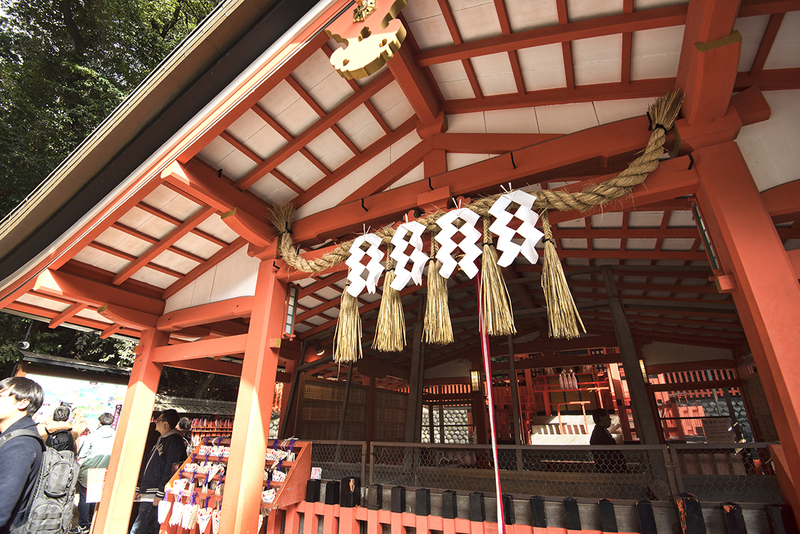 It is the head shrine of a Shinton deity, Inari, the god of rice. 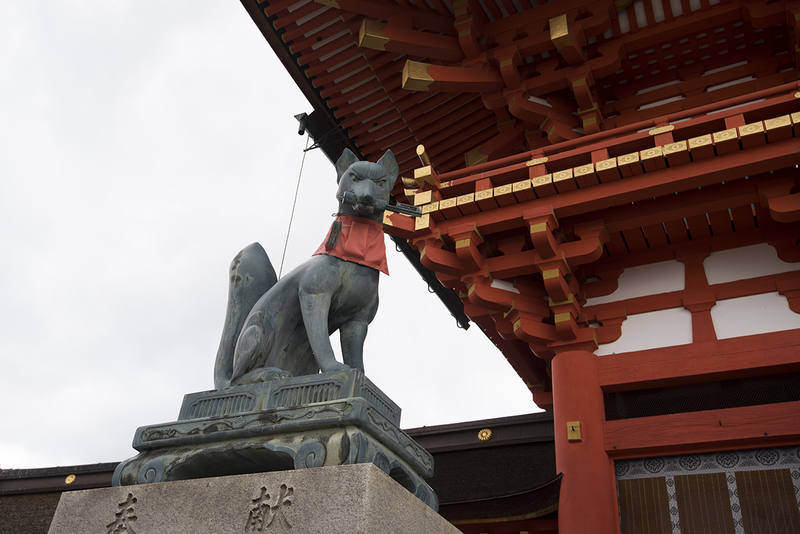 Foxes are believed to be sacred messengers of the god of rice, so the shrine worships fox spirits. 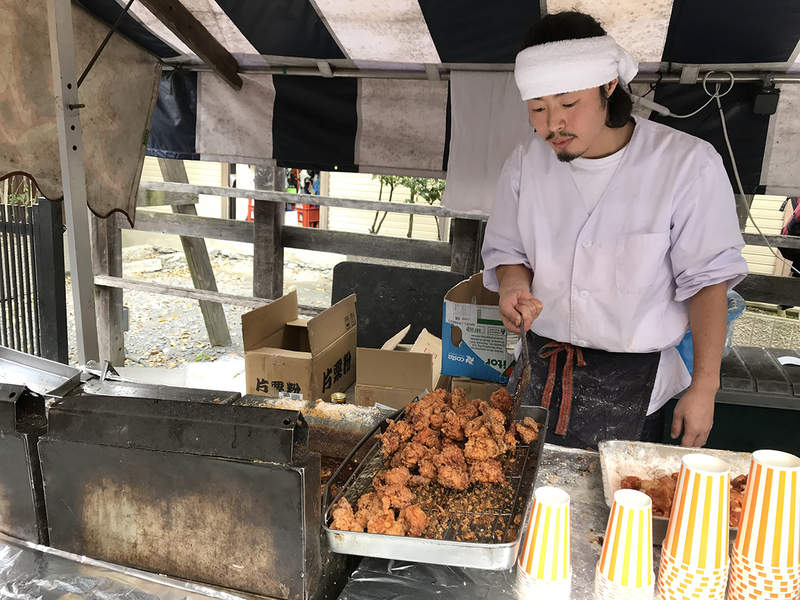 It is believed that foxes love fried tofu “aburaage.” Farmers make inari sushi — sushi rice stuffed in sweet soy sauce flavored fried tofu pouches — as offerings for fox spirits in hope for an abundant harvest. 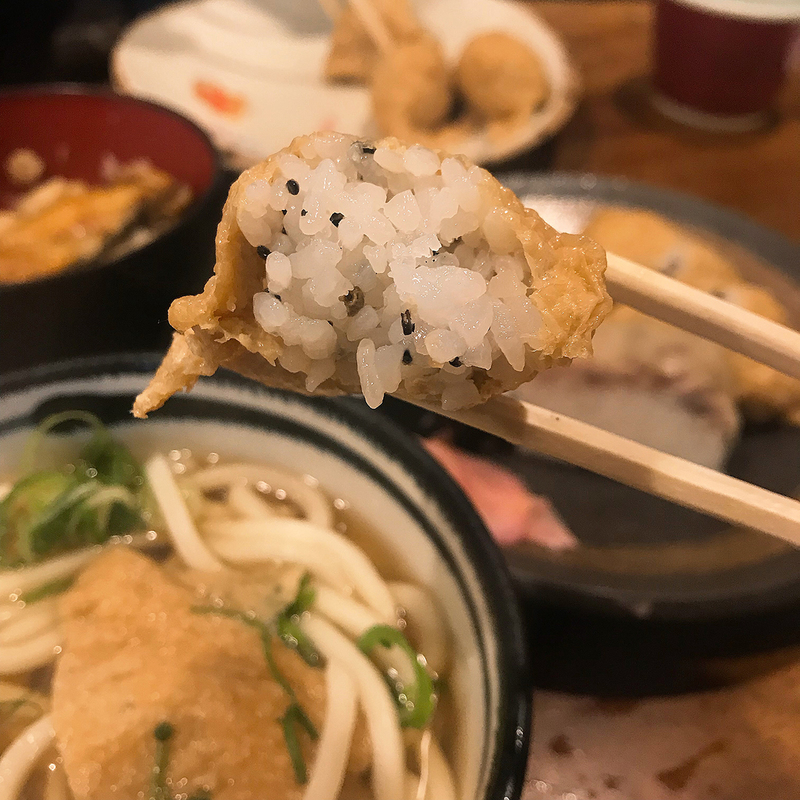 Another version of story is this: Foxes mess with rice patches, so farmers leave these fried tofu sushi outside for foxes to eat so that they would not chew up the crops. 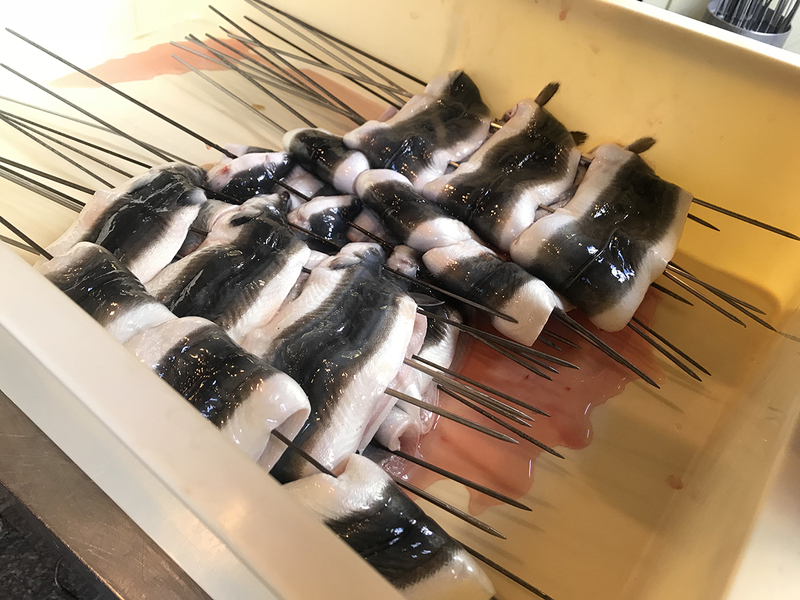 Nezameya is also famous for its grilled eel. 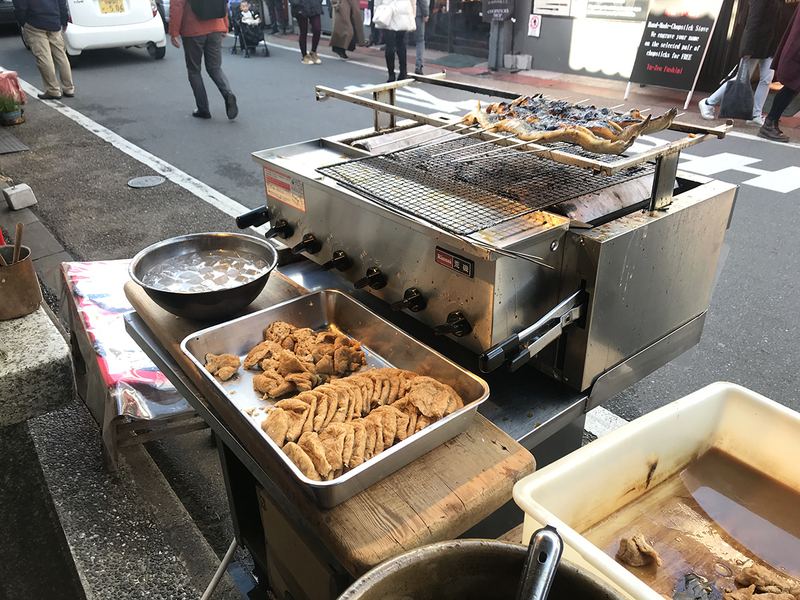 The staff grills eel right outside of the restaurant. 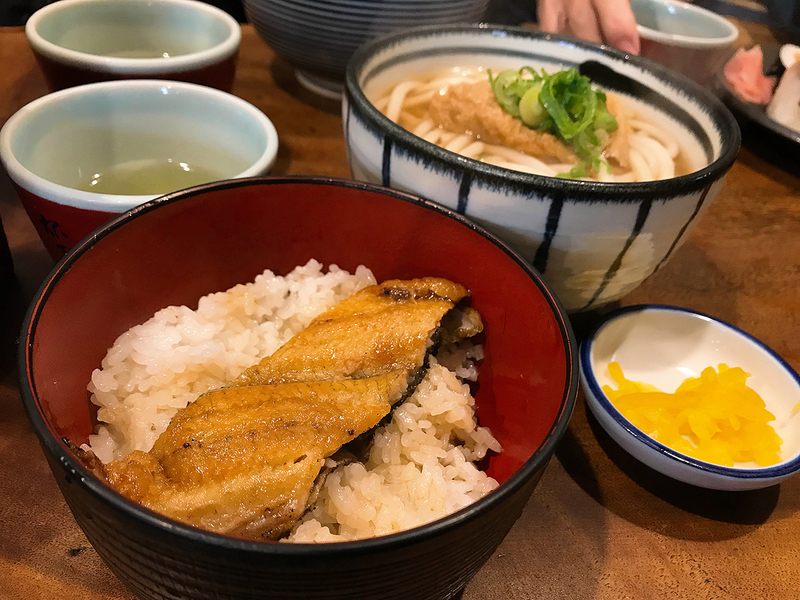 I ordered a set that included grilled eel over rice and kitsune udon. 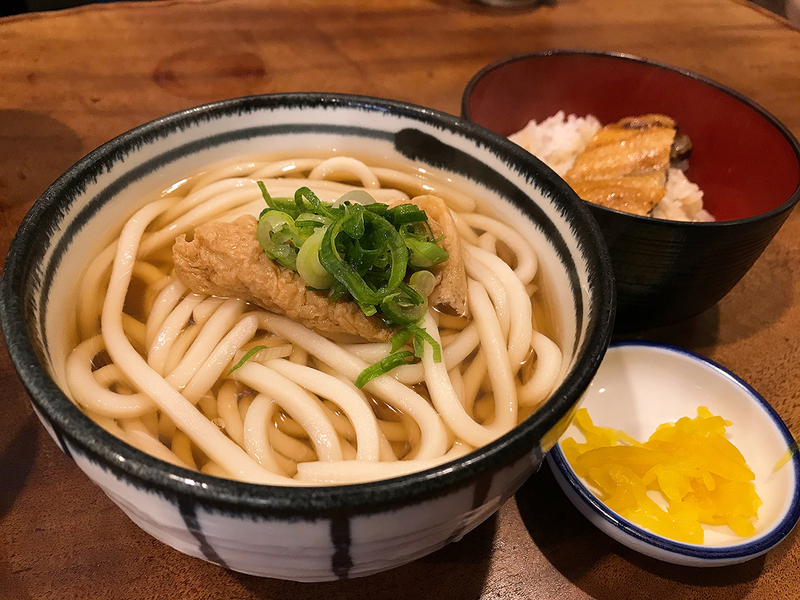 Kitsune udon is another dish with Shinto belief significance. 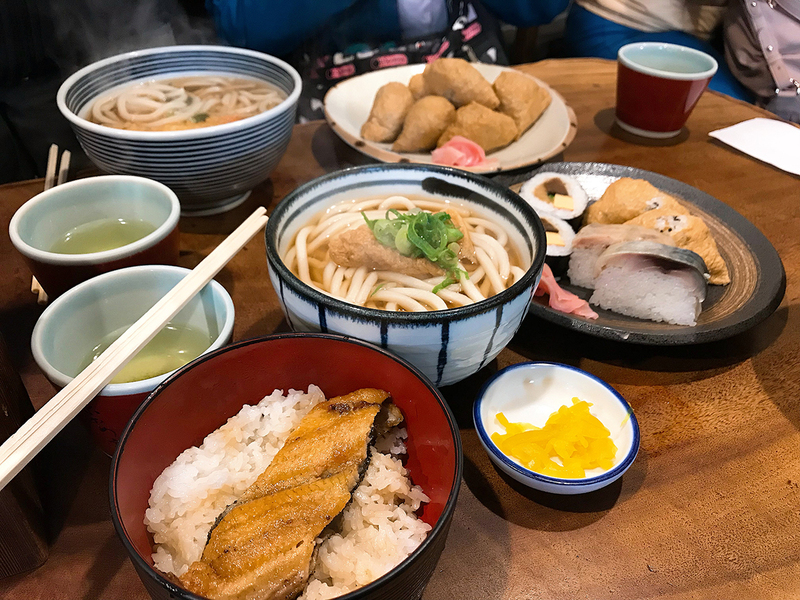 Kitsune udon is udon noodle in a light dashi broth, topped with fried seasoned tofu “aburaage.” Kitsune is Japanese for fox. It is basically a bowl of udon noodle soup topped with fox spirits’ favorite food. 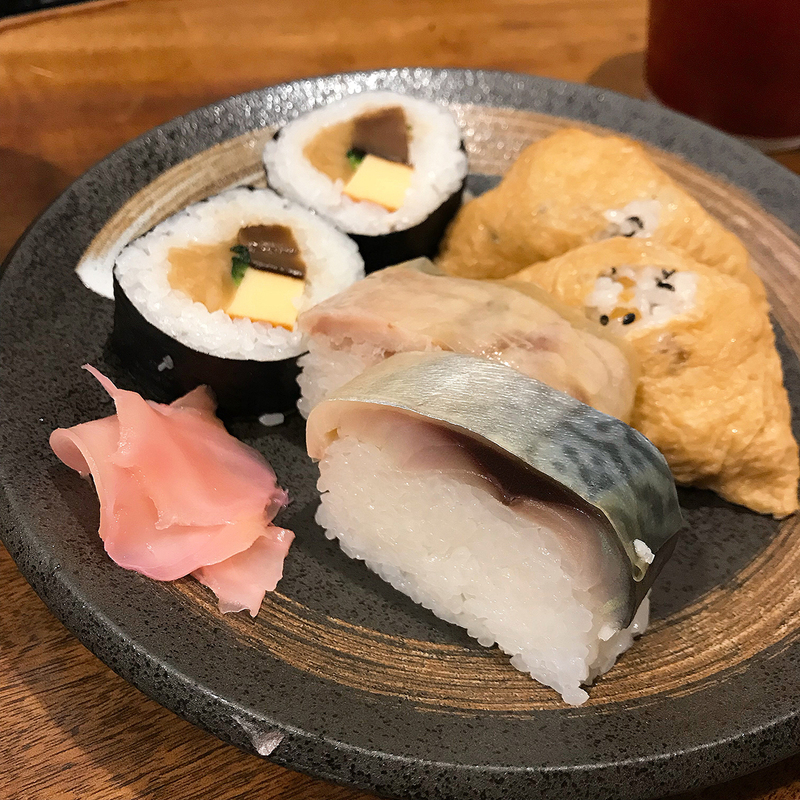 This restaurant serves a Kyoto classic dish, mackerel nigiri. 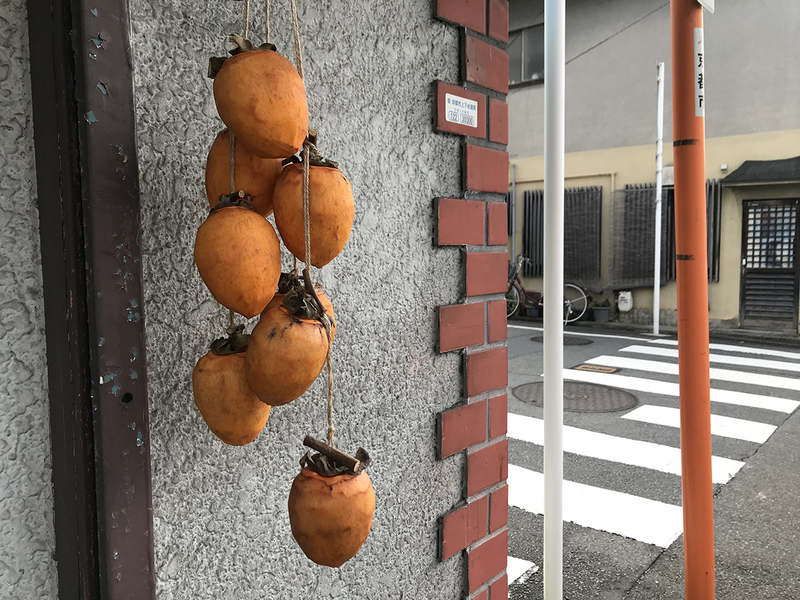 Kyoto is landlocked. 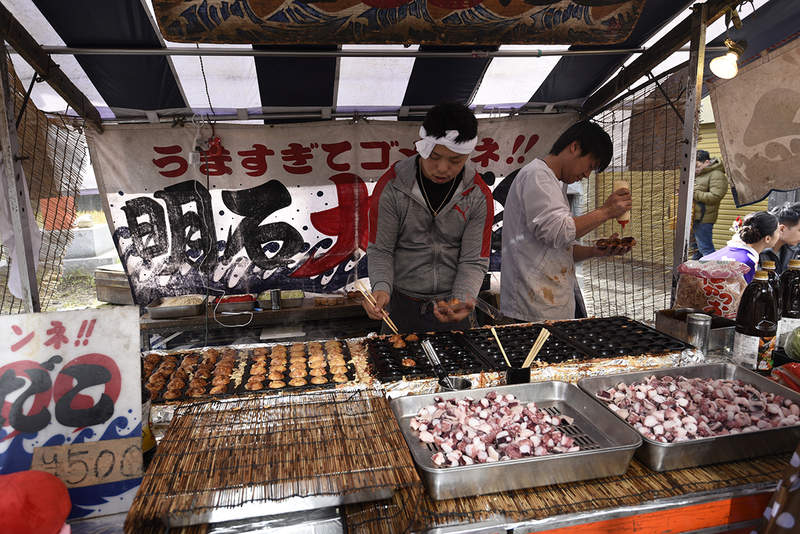 Back in the day, fresh caught mackerel from a seaport Wasaka was cured and shipped to Kyoto. Mackerel nigiri thus became an iconic dish. 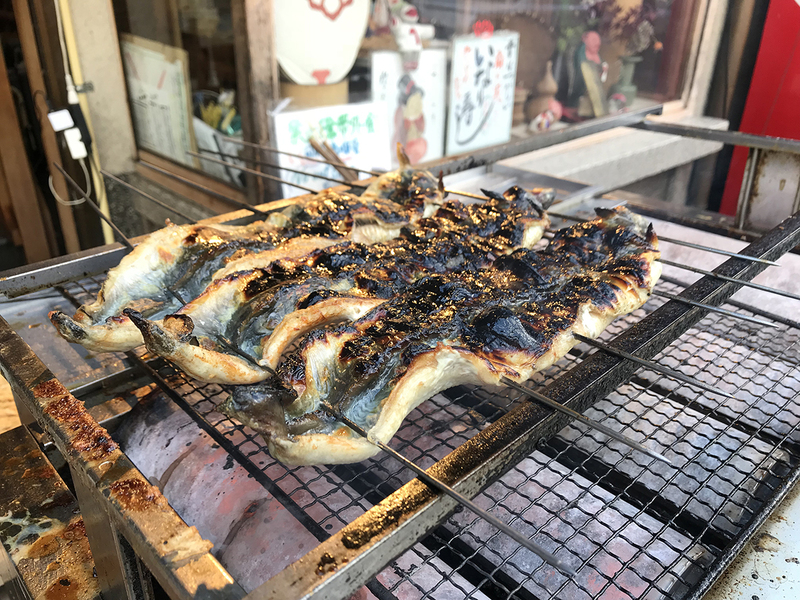 The best mackerel sushi in Kyoto is supposedly Izuu in Gion. We did not have time to try it, so I didn’t have a base line for comparison to tell you whether the mackerel nigiri here is good or not. I ordered this dish out of curiosity and prepared myself for the worst. 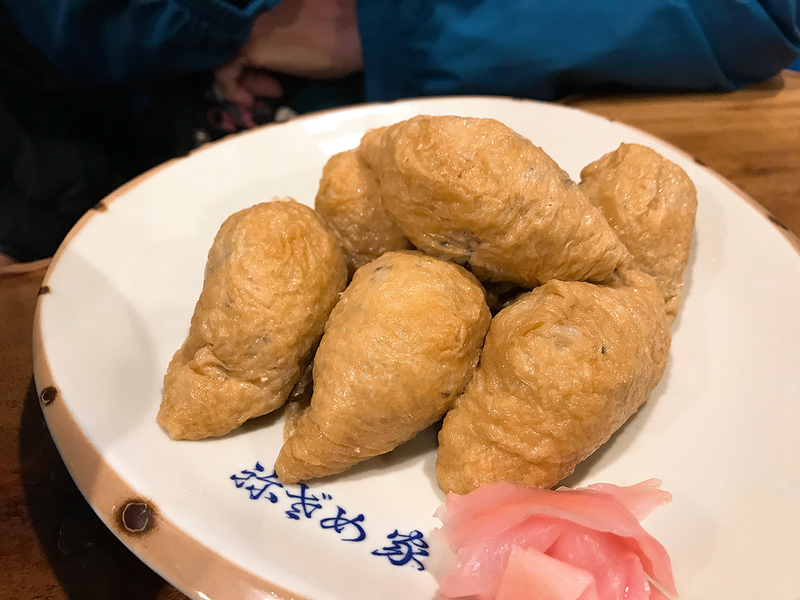 I thought the cured mackerel would be very salty and fishy. I was not sure if I would like the taste from fermentation. It turned out to be okay, but I was not a fan. My husband is not a fan of tofu or fermented fish. 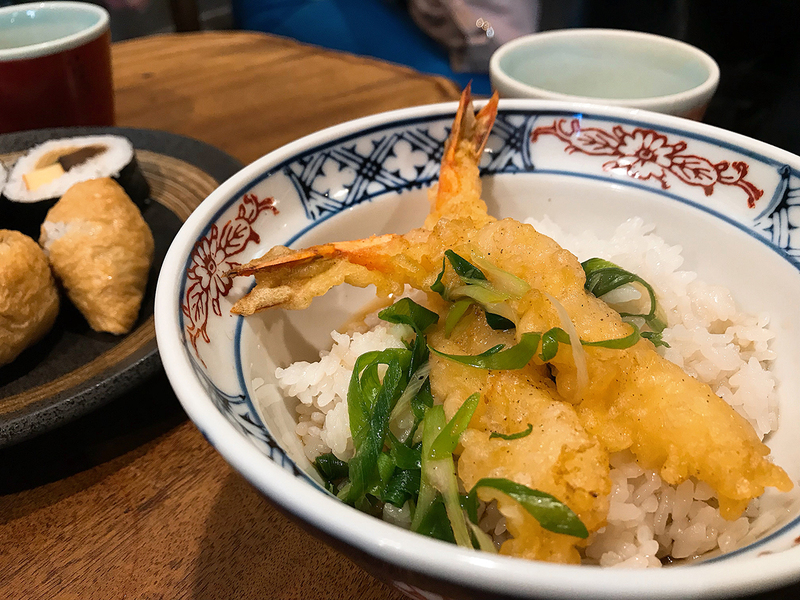 He ordered a shrimp tempura over rice. The rice was drizzled with dashi broth. He really liked that as well as the fox udon soup. Before you add Nezameya to your itinerary, I want to give you a friendly warning. 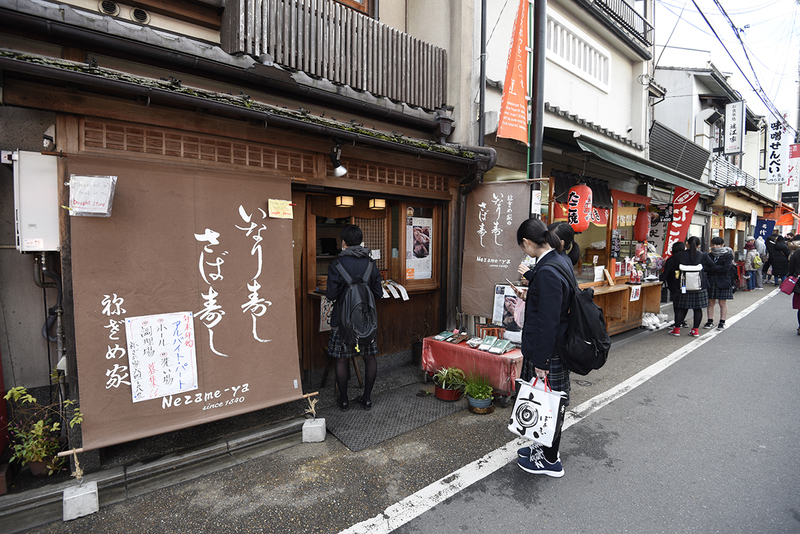 I realized after this trip that Nezameya got horrible reviews online. It scored 3.38 on Tablelog, which wasn’t bad at all, but only 98 reviews. Yet on Tripadvisor, there were a ton of brutal one- or two-star reviews. The bad reviews mostly are: overpriced, horrible service, horrible food, and no soy sauce. Overpriced? It is in fact pricey for small portions. Horrible service? Yeah, most of the waiting staff were not all that warm and fuzzy. They do make it clear that one person needs to order a minimum of one dish and that guests need to get the heck out once done eating. Reviews about soy sauce crack me up. I know so many Americans who drench Eastern Asian food with soy sauce, whether it is off-brand from a packet or brand-name from a bottle. The amount of sodium intake is concerning. 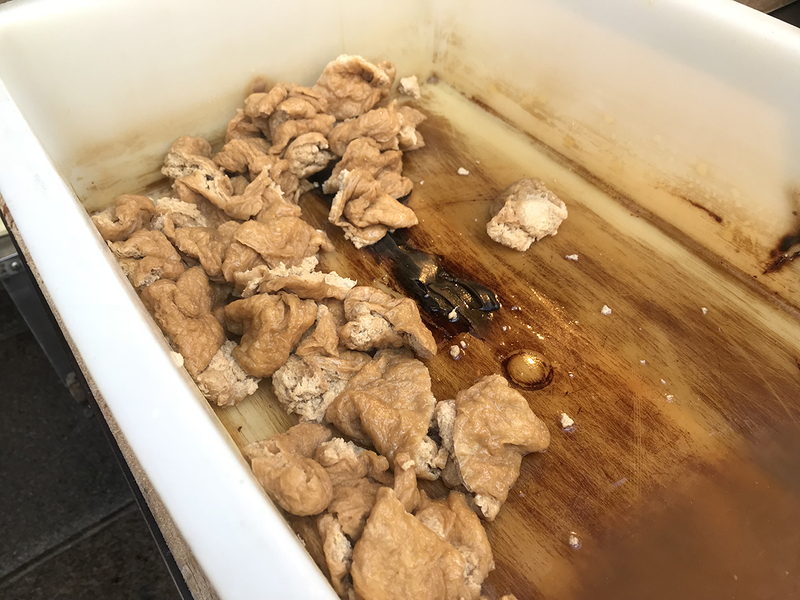 You don’t pour soy sauce on a seasoned, prepared dish. If a lack of friendly service or soy sauce is a deal breaker, you don’t want to go to this restaurant. Also, the furniture was low to the ground and they crammed as many seats as possible into the space. 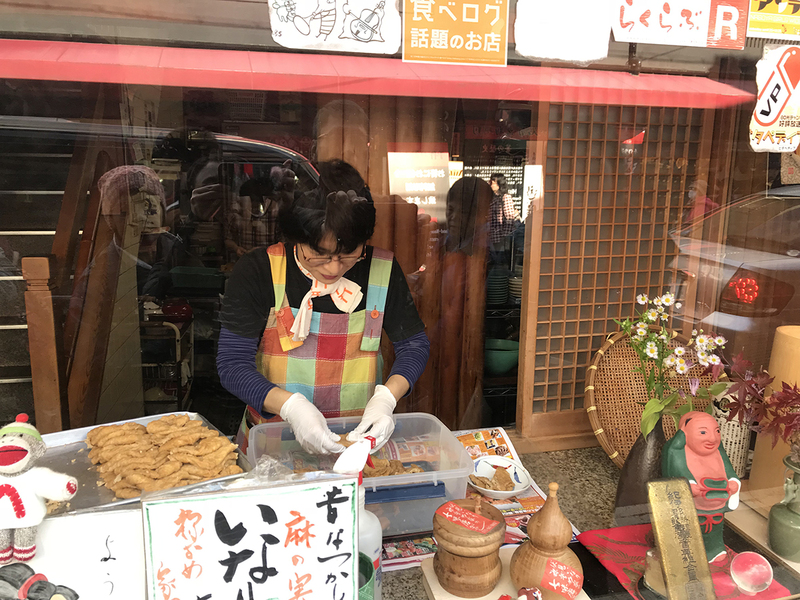 If you don’t have time or space in your stomach to eat a full meal here, the restaurant has a take-out window where you can get a box of fried tofu skin sushi to try. After lunch, we started walking up the hill of the Inari Mountain. The worship of the god of rice at this mountain can be traced back to 711 AD. 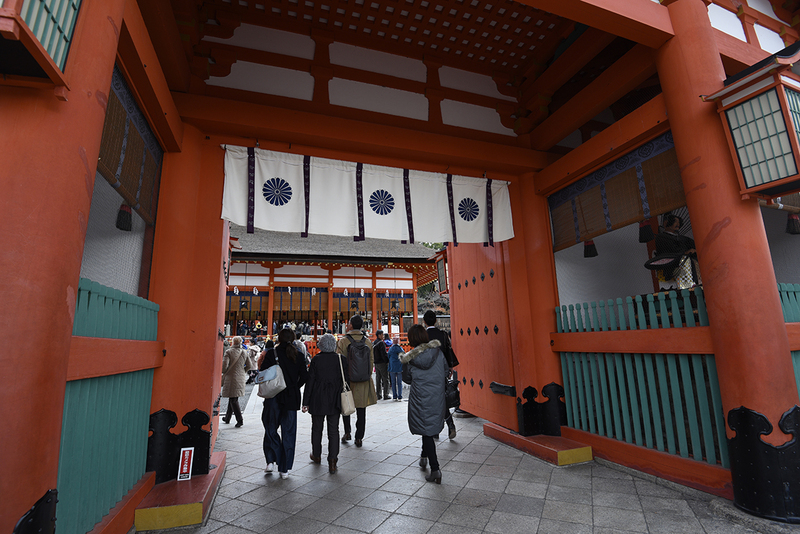 Fushimi Inari Taisha (伏見稻荷大社) is known for thousands of torii (鳥居) — which is typically a shrine’s entrance that represents a gate from the secular world to the sacred world. Even their ema (絵馬) are in the shape of torii. 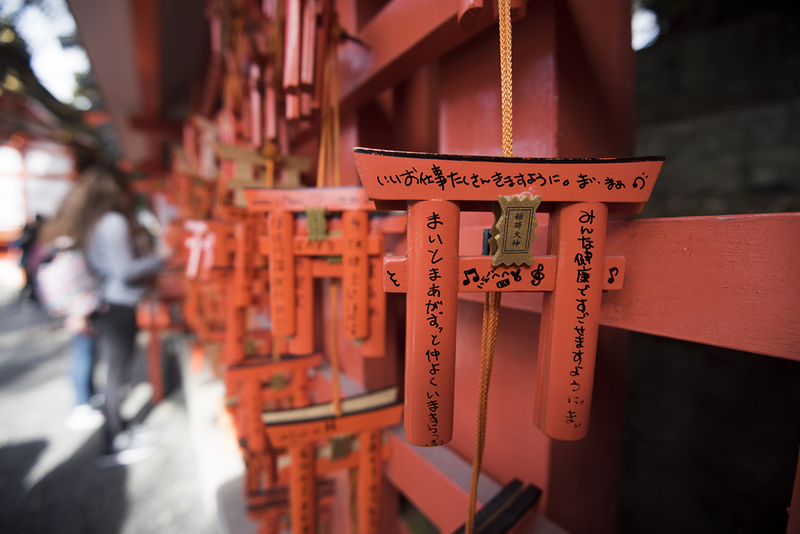 Ema is a talisman that you write your wish on, hang it up at a shrine, and hope Shinto deity would make your wish come true. 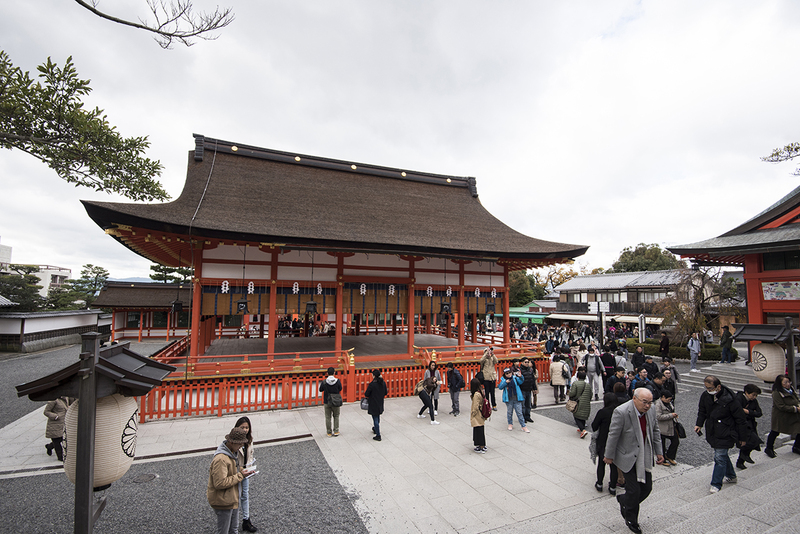 Historically people come to this shrine to pray for bountiful harvests, business prosperity, and safe travels. 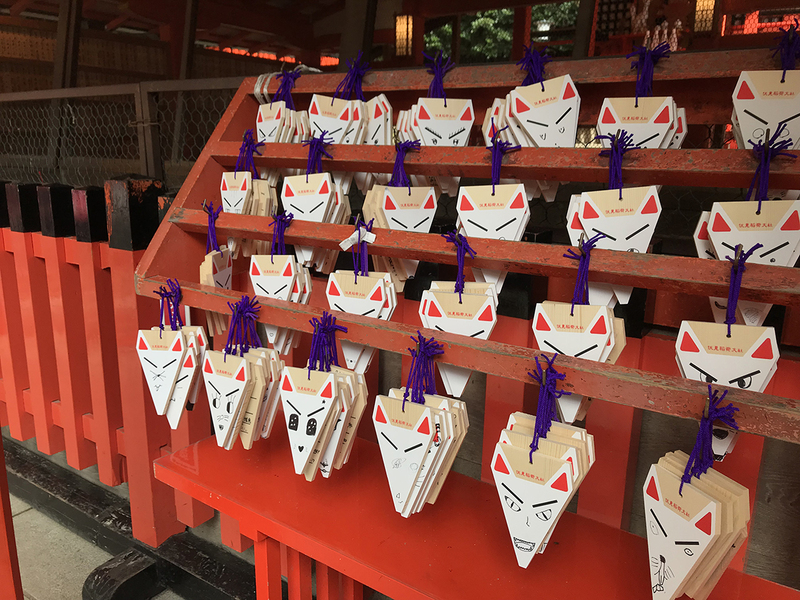 Since fox spirits are the bosses here, there are also ema in the shape of a fox. 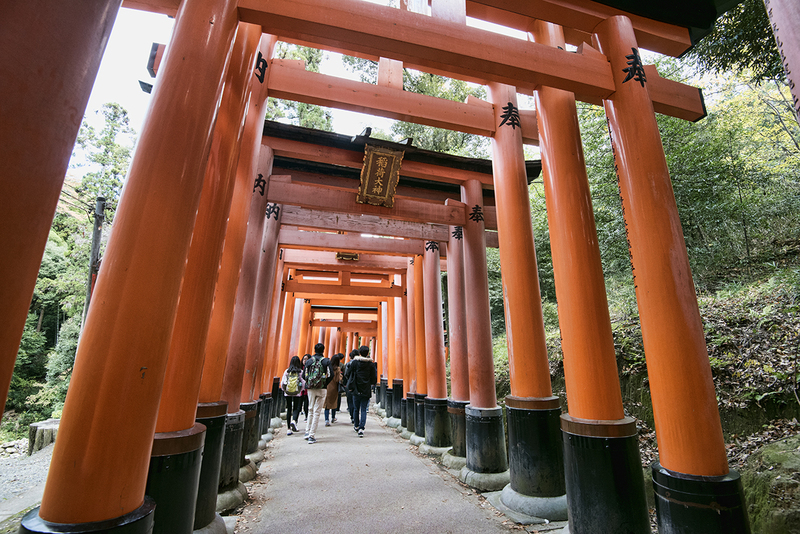 Further up the hill, the trails are lined with thousands of torii gates in brilliant orange. 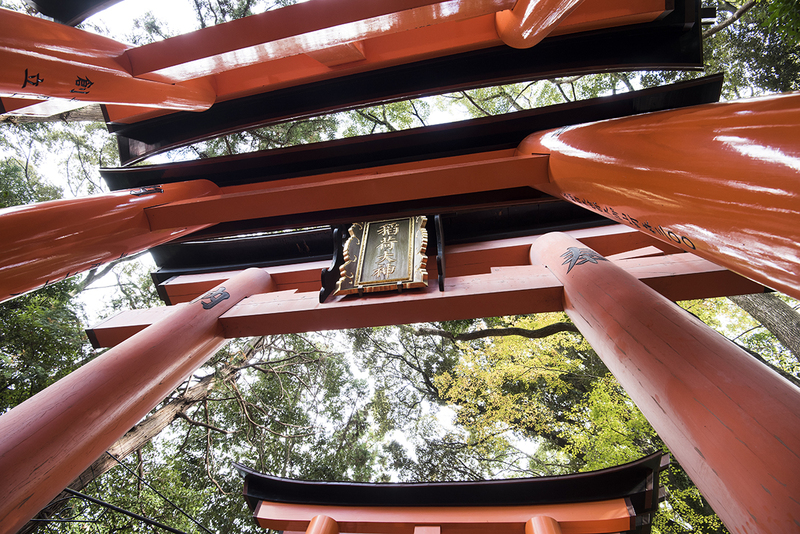 Corporations and individuals can donate to the shrine, get a torii with their names carved on, and the god of rice would look after their businesses or families. There are six tiers of donations. The cheapest and smallest gates cost about USD $1,550 (175,000 yen). 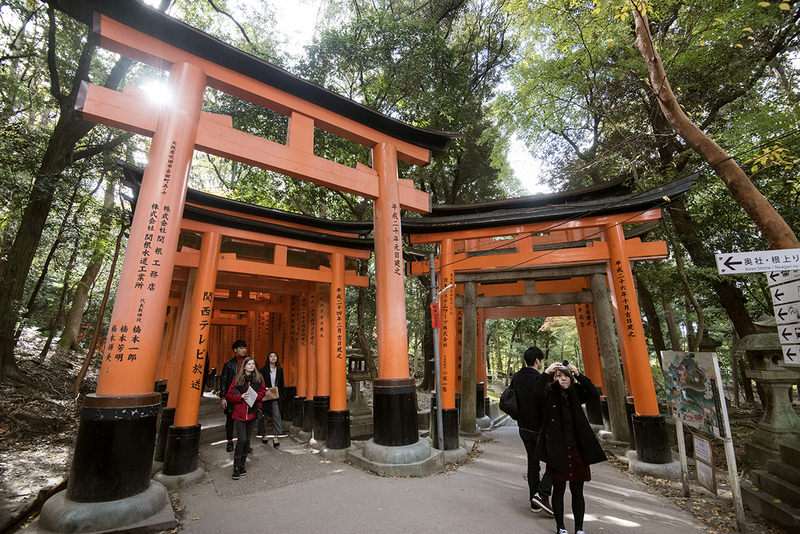 The tallest, most expensive gates cost more than USD $11,500 (1,302,000 yen). Admission is free. The shrine is open 24 hours. It takes somewhere between 45 minutes to three hours to visit this place, depending on how much hiking you want to do. You can hike as far as you wish and turn around and head back. We spent about an hour and 40 minutes here and were probably only a third of the way through the trails. During spring or fall, this is a very busy tourist spot that you want to come here early in the morning to avoid the crowd. We went there on a Monday at about 11 am in late November and it was very crowded. There are not a whole lot of sit-down restaurants in the area, but leading up to the entrance there are lots of food venders. 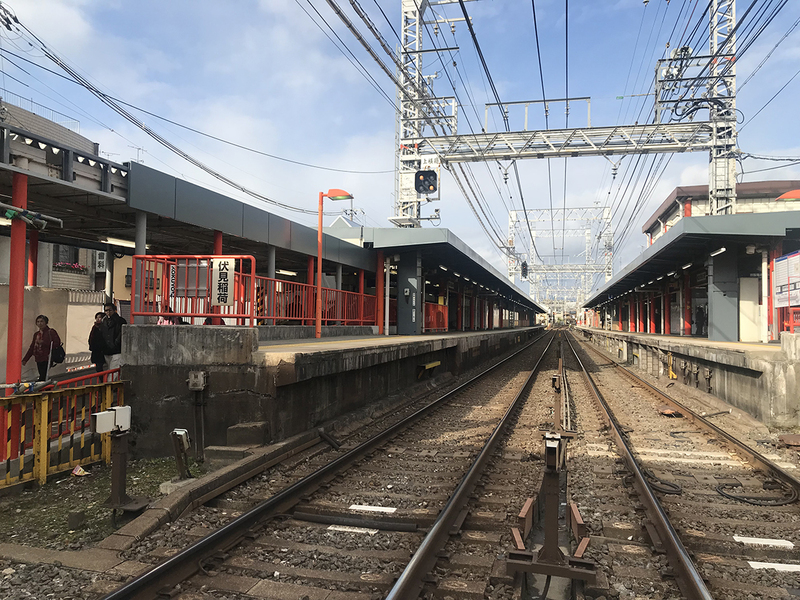 Take the Keihan Railway to the Fushiminari Station and walk about six minutes or JR Nara Line to Inari Station and walk about two minutes to get to the entrance. 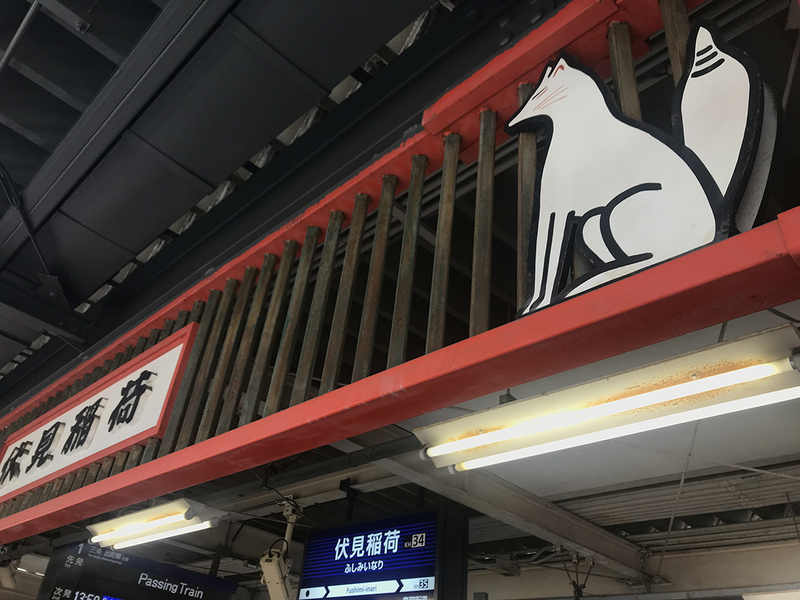 You can also take Kyoto City Bus route 5 to Inari Taisha-mae and walk about seven minutes. 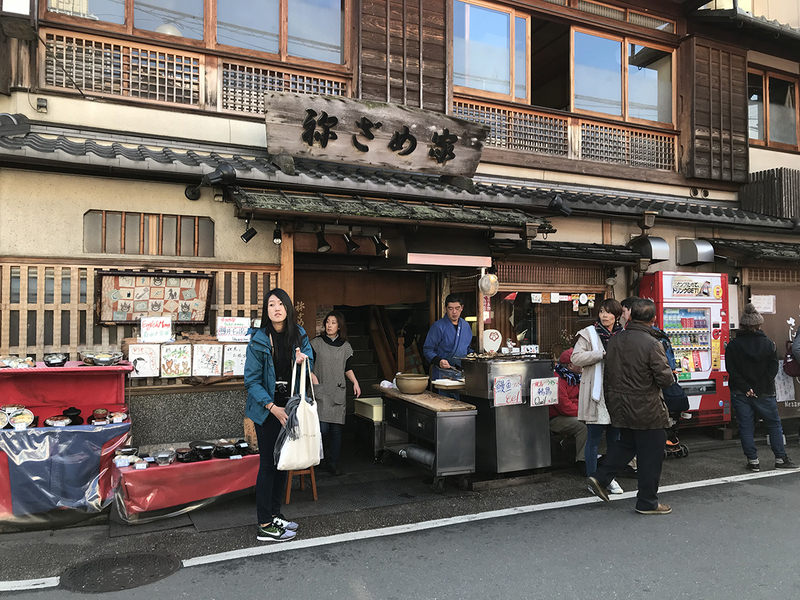 Kyoto is definitely one of my favourite places to visit. It’s so beautiful! Thank you for sharing!!! The food also looks so mouthwatering! !